Abergele: Accommodation, Attractions, Activities, Going Out, Shopping, Things to Do, Places of Interest, Outdoors, Abergele Holidays, Abergele Area Location, North Wales. An untouched 125 mile coastline of sandy bays and cliffs, designated an area of "outstanding natural beauty". Small resorts, magnificent beaches, family attractions and historic sites. 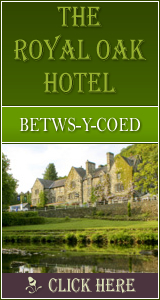 There is plenty of good value camping accommodation choice in or around Abergele. Here you are close to the fun and amusements of seaside Rhyl, or you can spend the day exploring the majestic mountains and spectacular waterfalls of nearby Snowdonia. Abergele local attractions include: Abergele Market, Bodelwyddan Castle, The Welsh Mountain Zoo, Bodnant Gardens, Snowdonia National Park. There are dozens of local golf courses and shopping in Abergele, Colwyn Bay and Llandudno. The Big Paintball Adventure Paintball and Outdoor Pursuits Company, Attractions and Activities in North Wales. Gwrych Castle in Abergele The Website describes walks, views, tales, ghosts, forgotten treasures and lots lots more! Gwrych Castle tour and Abergele Town Tour Photos, Heritage Attractions. Explore what Abergele has to offer. Winkups Caravan Park ideal for family holidays. Offers all the modern amenities. Close to Snowdonia National Park, Isle of Anglesey, Rhyl. Abergele Area Golf Clubs Golf Courses within a 30 mile radius of Silver Birch Golf Course in Abergele.